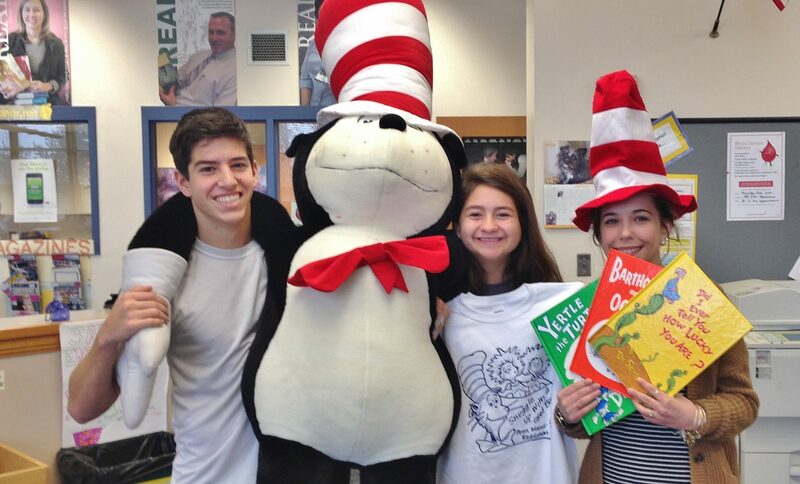 The 16th annual Penn Manor Readathon will be held from 2 to 4 p.m. Sunday, March 6, in the Penn Manor High School East Gym. The free event is open to all children and their parents, who are encouraged to bring books to donate to needy children and to read during “Drop Everything and Read!” (D.E.A.R.) activities. Penn Manor Serteen Club members will provide games and other activities for children, with an emphasis on youngsters from preschool to grade three. This year’s theme is “Snuggle up with a good book,” and children are encouraged to wear pajamas and bring their slippers. All youngsters must be accompanied by a parent or guardian. The goal of the Readathon is to instill in children a love of reading through activities and “freebies,” including books, prizes and goodie bags. The event is held in conjunction with “Read Across America,” which encourages reading and honors children’s author Dr. Seuss (Theodor Geisel), who was born on March 2, 1904. The Readathon is sponsored by Penn Manor Education Foundation and Penn Manor Education Association. Parents are asked to pre-register their children by clicking here . Serteen members, from left, Steve Fafel, Claudia Potter and Kelsey Bricker get ready for the Readathon.